As much tempting specs as the Chinese vendors offer, some of us still prefer our good old trustworthy brands when getting a new phone. Samsung comes first to mind when speaking of such brands and if you need the best Samsung phone, we’ve listed their best Samsung phones in India under Rs 20,000 in the list below. 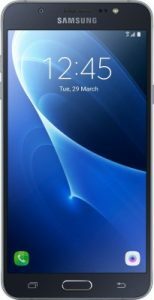 There are some other models like the Galaxy E9 or the 2015 On series, which are ancient and as such haven’t been mentioned below. You should avoid them of course. The list goes from the cheapest to the most expensive models. The pros and cons have been mentioned according to the budget. Also, all of these are 4G models. Lastly, do check the best phones under Rs 15,000 and best phones under Rs 20,000. So these are the best Samsung smartphones in India under Rs 10,000, Rs 15,000 and Rs 20,000.